Basic Witz sideboard in Benjamin Moore Aura Super White. Wood has been sanded then sealed with Varathane Polyurethane in Satin. Mid century dresser painted in Benjamin Moore Aura Super White and sealed with Howard Citrus Shield Premium Paste Wax. Wood has been sanded then stained with Minwax Dark Walnut Stain then sealed with Varathane Polyurethane in Satin. 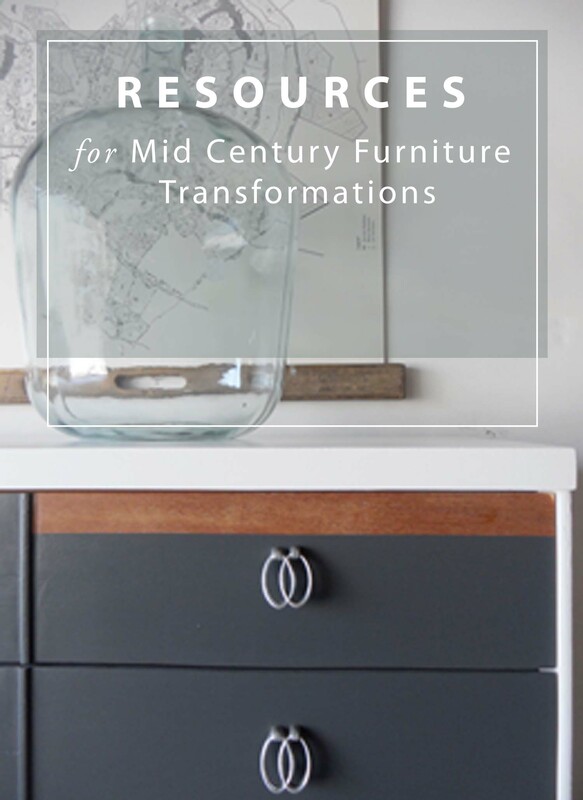 Today I’m sharing two recently finished mid century pieces. These types of pieces have become the bread and butter of my business. After much trial (and some error), I have found the products in this post to produce the best results on mid century pieces. 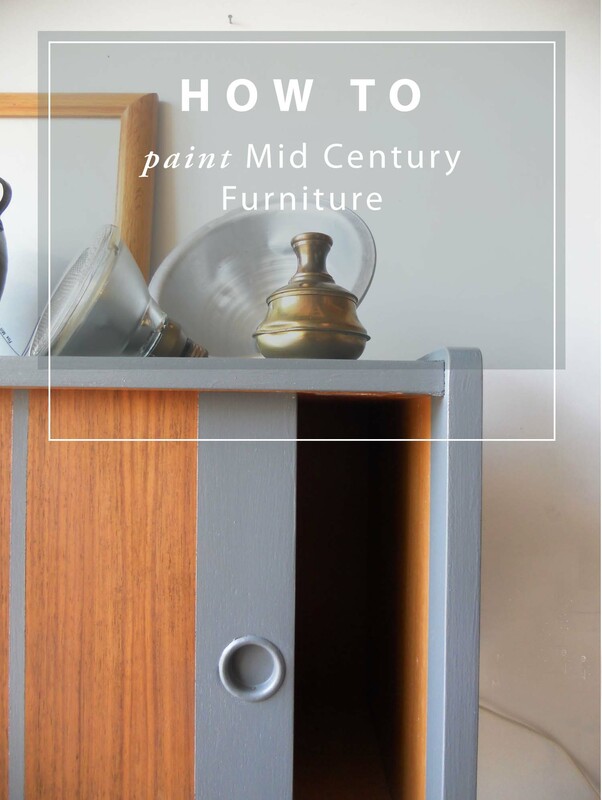 A detailed description of how I paint mid century furniture can be found here. I use various brands of paint but for mid century pieces that require a brushless finish, I use Benjamin Moore Aura in Satin, Benjamin Moore Advance in Satin, or General Finishes Milk Paint. These are high quality paints that dry to a hard finish. • Benjamin Moore Aura and Advance paints are my favorites. Advance is a hybrid paint (water based but acts like an oil) and has great self-leveling qualities if a brush is used to apply the paint. However, it requires 15 hours of dry time between costs and sometimes I don’t have the time for that. In those cases, I use Aura. 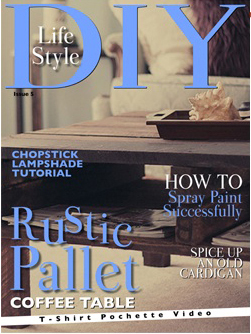 • General Finishes Milk Paint is very easy to use and without much effort it will produce a very smooth finish. In my opinion, these 6″ foam rollers are the best rollers on the market. I buy them at Home Depot and always have them on hand. I also use Benjamin Moore brushes designed for application of latex paint. Any high quality brush will work… just make sure the brush is designed for latex application if you’re working with water based paints. This RIDGID 5 in. Random Orbit Sander works wonders. I use it when I need to sand down to the raw wood. I start with 80 grit and work my way up to 150 and higher. The variable speed control allows me to sand with care, especially when working with the thin veneers on mid century pieces. Mid century pieces are always primed. I have used many primers over the years and have settled on Zinsser Cover Stain Oil Base Primer which dries in about two hours. The primer is always applied with a roller. When I want to restain a mid century piece, I always sand down to the raw veneer. That can be tricky though as lots of those beautiful veneers are super thin. In this case, I usually use Minwax Wood Finish (oil-based stains). I prefer the oil based stains over the water-based stains because they produce a richer color. When I’m doubtful that a veneer can withstand sanding down to the raw, I scuff it up with sandpaper then use General Finishes Gel Stains. I apply all stains with either a staining pad or Scott Shop Towels. For painted surfaces other than white: I use Minwax Wipe-On Poly. It’s easy to use and doesn’t leave brush marks behind. For the smoothest (and lint free) finish, I’ve found that it’s very important to apply this poly with a staining pad. For painted white surfaces: Howard Citrus Shield Premium Paste Wax is my favorite wax although there are many others on the market. This particular product is easy to apply and buff to a smooth finish. I use white rags to apply and buff. 1. Varathane Water Based Polyurethane: For a beautiful velvety finish on all of my mid century woods, I apply it with a black brush to produce a perfect brushless finish. The brush can be found with the polyurethanes at Home Depot or Lowes. 2. General Finishes Top Coats: For a very durable finish, General Finishes Arm-Seal (oil based) is a great choice. Or General Finishes High Performance (water based) top coat also works wonders. Both of these products are easy to apply they produce beautiful brushless finishes. I use a foam brush to apply (they are designed to also be applied with a rag but that hasn’t worked well for me). 3. I’ve been experimenting with a home made version of wipe-on poly. It’s super easy to mix but the technique involves several layers of poly with sanding in between each layer. The end result is the most beautiful velvety finish and is worth the effort! I’ll write about this in a future post but if you’re interested now, contact me. The products highlighted in this post are based on my personal research and experience. I’ve been careful to refer to the products’ exact names and have provided pictures but no links to where they can be purchased. Most of these products can be purchased a local hardware store. Others can be found online. Do you have a favorite product for your mid century pieces? Let me know! Martha, you said for your white painted pieces you use Howard’s wax and you also use Generals Finish for your Top Coats. Which one give you the shiniest look and protection? I don’t use Howard’s wax on my white mid century pieces anymore. Reason is that General Finishes High Performance Topcoat (water-based) is suitable… I but the product in a satin finish. It dries very quickly and doesn’t yellow the white paint. I find it more durable and easier to maintain than a wax finish for these pieces. I don’t think the General Finishes water-based product comes in a glossier finish than satin. I found a GF “Gloss” water based. Can i send you some pics of my work? I would love to know your recipe, tips on the home made wipe on poly! I always LOVE your work! Good morning Wanda. I’m in the process of changing my website and just now noticed your comment on this post. It looks as though I didn’t answer! So sorry for that. I’ll be posting a recipe for homemade wipe on poly in the near future. Contact me by email if you would like the recipe sooner. You will be able to send an email from my ABOUT page. Thanks!! 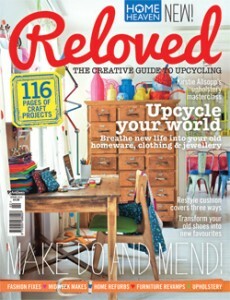 Martha,i love the piece and love your choice of finishes and we all thank you for this extra section on your site as to we all need the added insight.I wish in this part of the country people would appreciate the use of color and two-toned finish as do elsewhere and the by hand application of finish rather than spray,thank you. man you find some amazing pieces! I’m halfway through with that one I talked to u about. I’m using Sherwin Williams Urban Bronze. Gorge color! Since the pro classic doesn’t come in a deep base, the rep let me have a demo can of their new Emerald line. You have to try this!!! I love it. It’s water based and dries fast. Goes on like silk! Can’t wait to show u when I finish. Oh and the Advance here is water based. Do they only have oil base where u are?? Hi Beth: I can’t wait to see your finished piece. To clarify, the Benjamin Moore Advance paint is a hybrid… water based but acts like an oil. Thanks and send a picture soon! Thanks for sharing the products you use! Great information. And as always… Your work is absolutely beautiful! Thanks Chris! You’re so kind… I’m headed to your blog to take a look!